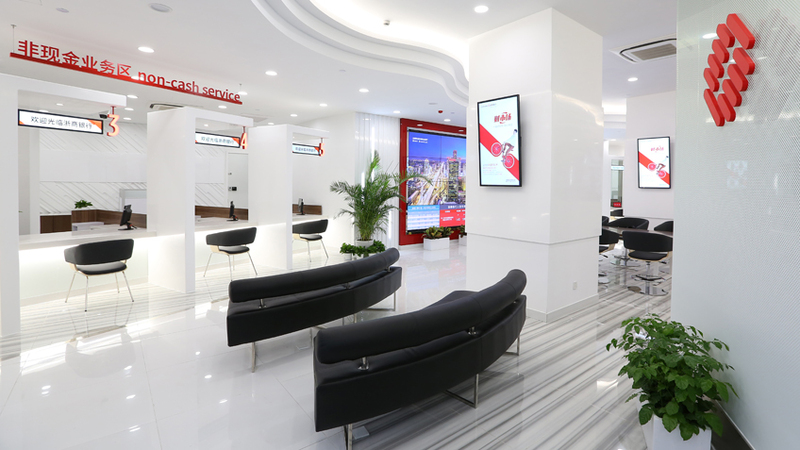 Shikatani Lacroix has been recognized as a finalist for a Digital Signage Expo (DSE) APEX Award in the Retail Category for our work developing engaging customer-facing content and interactive technology for China Zheshang Bank. This award celebrates innovative digital displays, interactive technology and compelling viewer content for B2C and B2B companies. Shikatani Lacroix was selected as one of three finalists, from a total of 24 entrants in the Retail category, by an independent panel of 10 industry experts and journalists. The finalists in each category be awarded a Bronze, Silver, or Gold APEX Award at the DSE 2017 APEX awards gala on Wednesday, March 29 in Las Vegas, Nevada. DSE is the world’s largest conference and trade show dedicated to innovative digital communication and technology solutions. The APEX Awards celebrate innovative work in this field in nine different categories. This year’s finalists were selected from 138 entrants in 12 countries.